MANILA, Philippines: The Asian Development Bank (ADB) has returned to the US dollar bond market with the pricing of a $1.5 billion, five-year global benchmark bond issue, proceeds of which will be part of the bank's ordinary capital resources and used in its non-concessional operations. "We are pleased with the transaction and the broad sponsorship from investors globally," said ADB Treasurer, Mikio Kashiwagi. 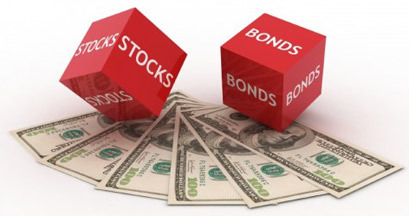 The bonds, with a coupon rate of 1.875% per annum payable semi-annually and a maturity date of April 12, 2019, were priced at 99.814% to yield 23.90 basis points over the 1.50% US Treasury notes due December 2018. The transaction was lead-managed by Citigroup, HSBC, Morgan Stanley, and RBC Capital Markets. A syndicate group was also formed consisting of Daiwa Capital Markets, Deutsche Bank, Goldman Sachs International, Nomura Securities, Standard Chartered Bank, and TD Securities. The deal marks ADB's first issue in the US dollar global bond market in 2014. The issue achieved wide primary market distribution with 31% of the bonds placed in Asia, 52% in Europe, Middle East, and Africa, and 17% in the Americas. By investor type, 38% of the bonds went to Central Bank and official institutions, 35% to banks, 17% to fund managers, and 10% to other types of investors. ADB plans to raise around $13 to $15 billion from the capital markets in 2014.